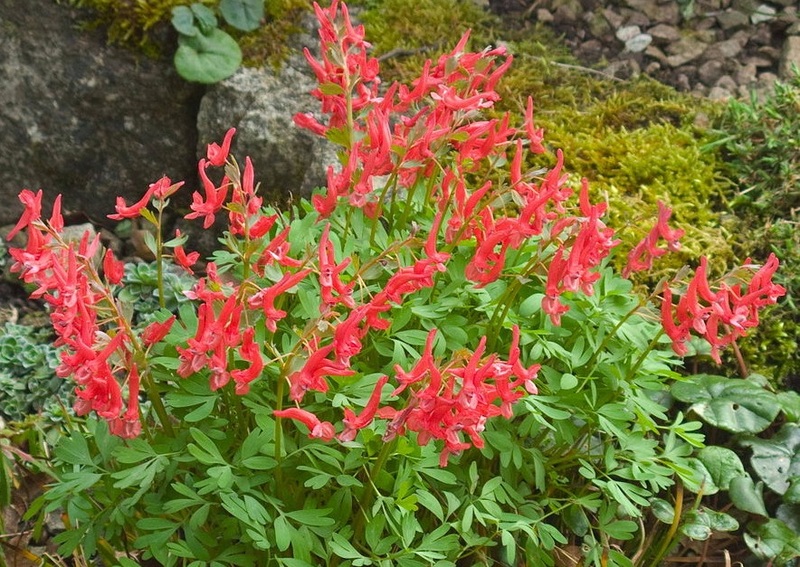 Native to northern Europe and Asia, Corydalis solida is a popular flowering herbaceous plant noted for its finely cut foliage and the colour variations of its blooms. It is an easy to grow species that does well in the gardens with northern European type climates. It was originally named Fumaria bulbosa var. solida in 1753 by Swedish botanist Carl Linnaeus (1707 – 1778), hence its rather unattractive common name of 'fumewort'. Its reclassification to the genus Corydalis was made by notable French botanist Joseph Philippe de Clairville (1742 – 1830) in 1811. 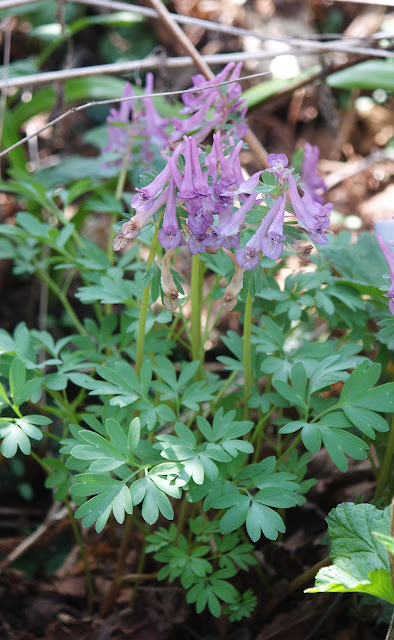 Found growing under the canopy of deciduous woodland, Corydalis solida is considered to be a spring ephemeral. This means that it will grow quickly in the spring coming into bloom before the leaves of the trees emerge to darken the woodland floor. It also means that there is a relatively short window of opportunity to purchase these plants in the spring before the blooms finished the foliage begins to die back. Under favourable conditions you can expect Corydalis solida to grow to approximately 25 cm high with deeply divided, grey-green foliage. It produces narrow, long-spurred flowers in March to April on narrow, dense, terminal racemes. The blooms are approximately 2 cm in length and can show colour variations (although not on the same plant), ranging between mauve, purple, red or white. It will perform best in a well-drained but moist habitat in full sun (if the soil is permanently moist) to full shade under deciduous plants. The soil only needs to need moderately fertile. The small pebble-like tubers of Corydalis solida are about the size of a marble usually available in the autumn. They should be immediately planted at approximately 5cm deep and 10cm apart. Several varieties and cultivars have received the Award of Garden Merit from the Royal Horticultural Society.